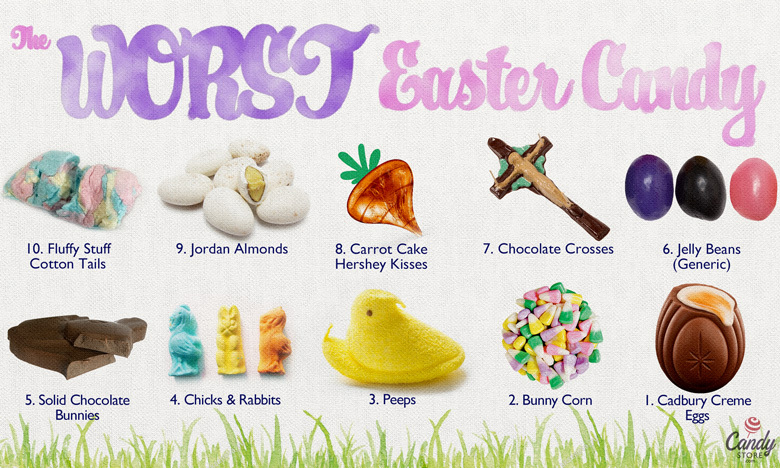 When it comes to the Worst Easter Candy, that’s where we think some folks may take issue. Topping the list as the absolute worst is the Cadbury Crème Eggs, which used to be the thing people waited for at Easter time. “It’s the goo inside. That [stuff] ain’t right,” one person noted, while another added, “Oh no no no. What even is that stuff inside? It’s like a runny egg, but who wants to eat a raw runny egg from the shell? !” Also controversial? The Easter staple Peeps lands at three. Save The Planet! Recycle Your Makeup Containers!